Every person dreams of owning his or her own home in the future. Home ownership is a great way for individuals to make a financial investment and have a place to call their own. Here are five tips for buying your first home. It is important for people to have their financing in order before trying to purchase a home. Individuals should meet with lenders and have their credit scores evaluated to see if they would qualify for a mortgage loan. This helps people to know how large of a monthly mortgage that they can afford. Home buyers need to make sure that they purchase a home that will meet their needs. It is beneficial for people to write a list of needs for each room and the front and back yards. 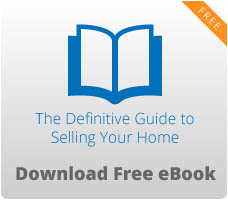 This can be used to guide real estate agents on which homes to show to their clients. People should contact a real estate agent to begin the buying process. This allows people to get the ball rolling so that they can go to view properties that fit their specified criteria. The person will represent the buyer so it is important to hire someone with top-notch negotiations skills and an eye for excellent pieces of real estate. The Internet can be a great resource for individuals who want to hire a real estate agent. Many buyers have posted reviews on the realtors that they have used. This can give buyers much needed help. People need to do their homework in regards to the areas that they want to live. Information such as crime rate, school districts and access to public transportation can play a huge role in where a person wants to reside. Buyers should look online for reviews on each neighborhood within a five-mile radius of where they want to live. This can give people the facts that they need to inform the real estate agent where they feel comfortable living with their families. It is a good idea for homebuyers to see as many listings as possible. People should take photos and write down notes about each listing. Then, after a few weeks, people can do a comparison and select a property that they want to put an offer on. It is important for people to have homes inspected not just for structural issues but for mold, mildew and termites as well. People need to be on top of their research because most homes do have issues that can be expensive to fix. If there are problems then buyers can ask for credits from the home seller.